In America, today is Thanksgiving, and as we prepare to stuff our faces with a huge turkey feast this evening, I wanted to take a few moments to express my Love and Gratitude to ALL of my readers, and to the entire MomsZone community. As I was writing my list this morning of 10 things that I am grateful for and 10 things I want to attract into my life, or the “10-10,” as the creator and my amazing business coach, Rich German calls it, I was suddenly filled with such an amazingly strong feeling of love and gratitude that it gave me pause. clothes on your back, you have it better than 75% of the planet. 2 – 50% of all human beings live on less than $2 a day. And that quickly, all of my so called ‘problems’ and ‘ailments’ seemed to dissipate and then dissapear. From Water, the ability of water to absorb, hold, and even retransmit human feelings and emotions. 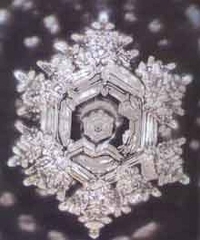 He showed in his research that the amazingly powerful combination of the English words Love and Gratitude, when exposed to water crystals, can actually impact and alter the entire crystal structure. Dr. Emoto goes on to say that by consciously expressing our Love and Gratitude that we have the ability to heal our planet and ourselves. Which words would you rather expose to yourself and to others? Moral: The messages you send to yourself and others DO IMPACT the STRUCTURE of who you are and who they are. Think good thoughts and send good words and messages of Love and Gratitude out to others and you will MOLECULARLY CHANGE! Oh and also, be grateful for all that you have today on this American day of giving thanks!